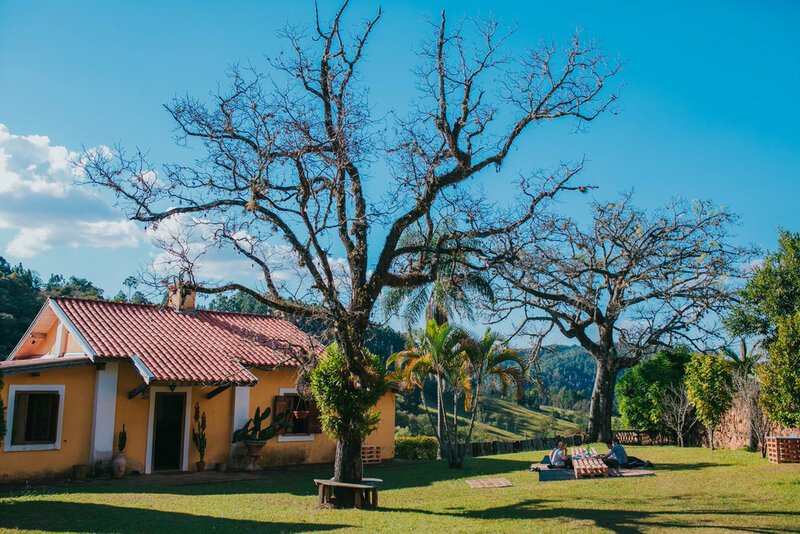 We host people from different parts of Brazil and the world that want to get out of their routine, that want to experience something different, that want to get inspired, to connect with nature and with oneself, to learn, to exchange, to have fun. To live. At the farm, you can do whatever you feel like. You can meet amazing people. You can enjoy all our leisure and digital work infrastructure. You can explore the waterfall, trails and woods. You can help in the vegetable garden and in daily tasks. You can stay by the swimming pool or at a lawn enjoying the sun or reading a book. You can work hard in one of our work rooms using our high speed internet. You can do nothing. You can do just what you want. Here nothing is obligatory, just respect. Below you can find our hosting options. Any option gives access to a share kitchen in which you can cook by yourself or with people that you meet here. Basic food and ingredients are provided by the farm, but you can bring whatever you want. We also have a bar with regional drinks open everyday. In a 70m2 room, we have set-up a mixed dorm for up to 10 people. The room is beautiful, has several windows with wonderful views to the farm and a 5 meter high ceiling. Toilets are located in the next room and showers 30 meters away. We provide bed sheets and towels for you. In our guest house, we offer two private ensuite rooms for 2 or 3 people. They are very charming and have a private toilet with hot showers. One of the rooms has an amazing view to the central patio of the farm and from the other you can listen the waterfall. 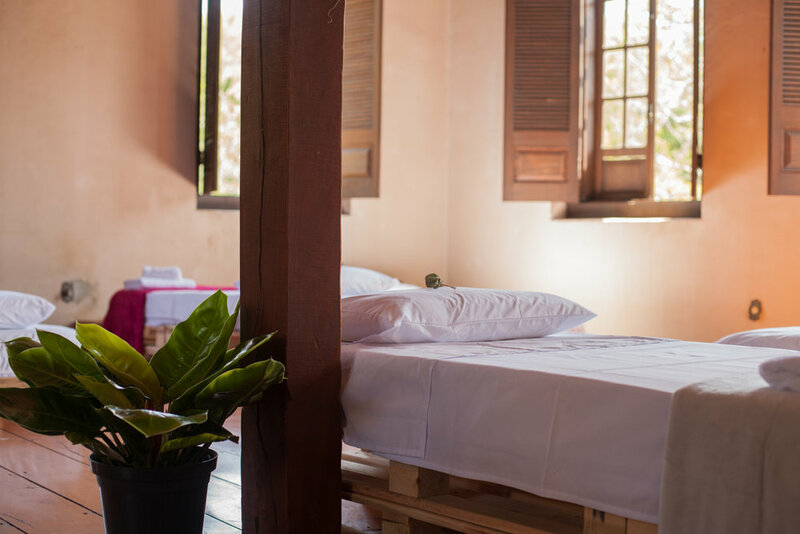 Both can be configured with one double bed or two single beds and includes bedsheets and towels. Also located in our gueshouse, this room has two triple bunk beds that can host up to 6 people. It has a private toilet with hot shower and includes bedsheets and towels. It is super comfortable and kids love them! If you want more privacy and a kitchen for your own, we also rent the full Yellow House. It is 3 ensuite rooms with capacity of hosting up to 12 people. Click here to for more info about the house. You can also use AirBnb to make your reservation if you would like (additional tax of 10%).